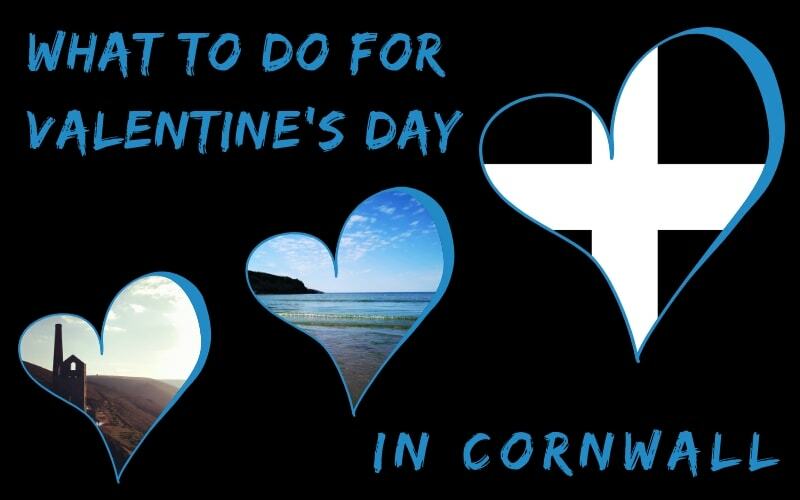 Looking for something to do in Cornwall today? 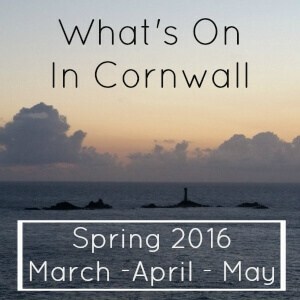 Here’s my what’s on in Cornwall in March, April and May post to help you find things to do. Including the Easter holidays, let’s just hope we have good weather for then! Here is my list of what’s on, keep checking back as I update these sorts of lists all the time, and feel free to comment below with any events you’d like me to add for you. If I think they’ll suit my readers, then I’ll add them happily. World pasty Championships are at the Eden Project near St Austell for St Piran’s Day. Entry to the event is free with your usual Eden admission price. You can even bring a pasty to enter! 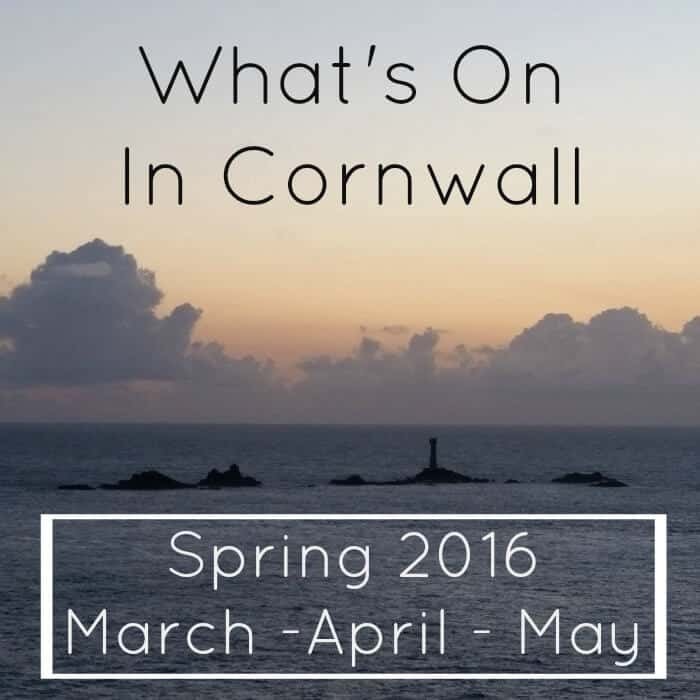 There will be comedy from the Kernow King, music with the Fisherman’s Friends and more. Pop to the Eden Project site for more information, times and prices. For Mother’s Day Bodmin Jail have a Jazz band the Ronnie Jones Jazz Quartet playing and a roast for just £5.95 per person. To book call 01208 76292 but be quick. Dairyland Farmworld near Newquay have Easter egg hunts on all weekend, pop to the Dairyland website for opening times and prices. There will be a mixed stall market in Launceston from 10am til 3pm with food, drink, arts and more. Charity quiz night at the Bystro St Austell 8pm til 12am with all money going to STAK. £1 entry per person and teams of a maximum of 6 people. It’s the annual Beer & Mussel Festival at The Cornish Arms in St Merryn. 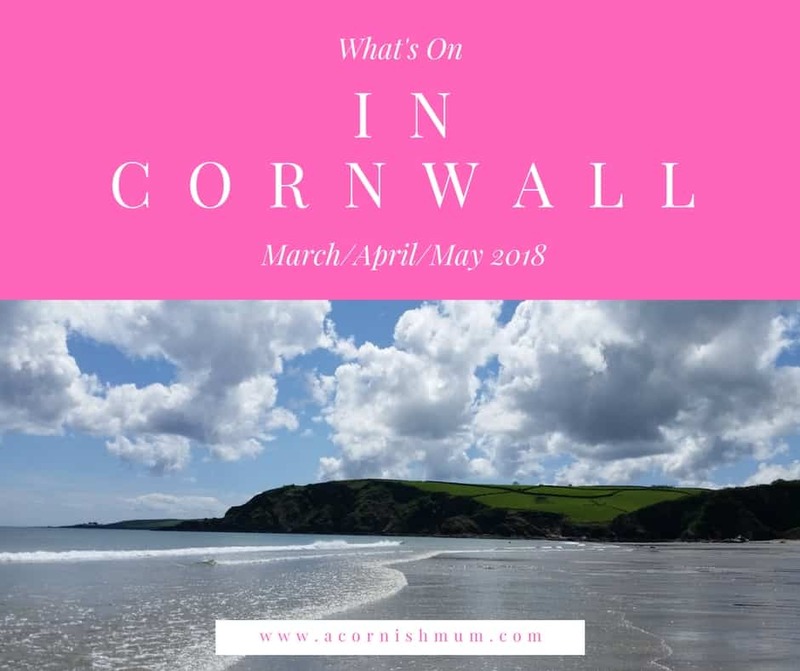 This is Rick Stein’s pub, and over the weekend there will be the Kernow King (comedian), a book signing with Rick, chef demonstrations from Jack Stein and Stuart Pate, live music entertainment, a big pub quiz and obviously ales and mussels. There is lots more as well, pop to the Risk Stein website for more information and timings. Easter fair at the Merlin MS Centre in St Austell (PL26 7JF) with craft stalls, raffle, refreshments, children’s activities and cake. Lostwithiel charity Beer Festival is on at the Community centre (PL22 0HA) from 11am til 11pm and the entry is £5 per person. Live music, disco and comedy from Johnny Cowling in the evening. Profits go to Rotary charities. The annual Mount Edgcumbe Park’s (PL10 1HZ) children’s Easter egg hunt will be on. 1.30pm til 3pm whatever the weather, you can collect clue sheets from The Orangery from 1.30pm. £2.50 per child which includes an Easter egg. Charity quiz night at Zafiros in Truro from 7pm £20 for a team, maximum of 6 per team. The Eden Project near St Austell have their Easter Eggstravaganza on with an Easter egg hunt, assault course, egg themed games and more. Pop to the Eden Project website for more information. The Lost Gardens of Heligan near Mevagissey have Easter events on included in the usual price of garden entry – locals don’t forget during March you can get your locals pass when you visit as well. Daily from 10am til 5pm there is the great Emu egg hunt, crafts and the chance to see some ducklings and chicks. The Heligan website will give you information on how to find them and more. Easter Egg hunt at the Polgooth Inn (PL26 7DA) near St Austell from 2pm until 5pm in the pub’s garden to raise money for village funds. The National Trust are holding the Crantock Cadbury Easter egg hunt on Crantock beach. From 10 til 4pm you can meet in the beach car park (TR8 5RN) to get started. The hunt is £2 per person with a chocolate treat at the end. Easter egg hunt at the Monkey Sanctuary near Looe between 12pm and 3pm. There is a pop up shop in the Bude Tourist Information centre from 12.30pm from Dad’s Place, with lots of gift ideas for the men in your life. Peter Pan on Ice is at the Hall For Cornwall in Truro, pop to the Hall For Cornwall site to book your tickets before they sell out. There’s a band night on at Bodmin Jail for some Jail house rock with The Big Sets at 9pm. You can check out the Facebook event page for more information. There is Tudor dancing at the National Trust property Trerice near Newquay ( TR8 4PG ). You can either watch or join in inside the Hayloft. The Governor’s InQUIZition quiz is on at Bodmin Jail every Wednesday at 8pm. Entry is free and the top 3 winning teams get a prize. Marazion Food Fair is on from 10am til 4pm at All Saints Church hall. With artisan produce from local producers. Joanna Cooke is live at Bodmin Jail from 8pm, there is a Facebook event page with more information. Porthleven Food Festival is on, which is free to attend and has over 100 stalls selling food, crafts and artisan produce and a chef’s theatre, where some of the best national celebrity chefs and local talent will showcase their live food demonstrations. There will also be a Great British Bake-Off style competition with a Mad-Hatter theme. 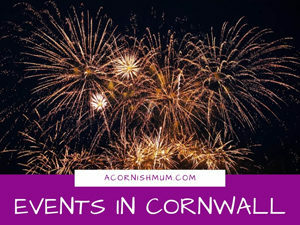 There will be music, fireworks and more – some of the evening events are ticketed, pop to the Porthleven Food Festival website for more information. It’s Trevithick Day in Camborne wth fair ground rides, music, market stalls, dances, vintage vehicles and a lot more. Pop to the Trevithick Day website for more information. It’s Helston Flora Day in surprisingly enough Helston. Flora Day is an ancient festival with dancing in the streets. 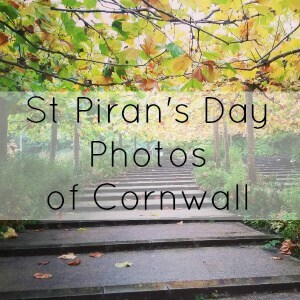 For more information pop to the Flora Day website. Camel Creek (formally Crealy) near Wadebridge has a pirates and princesses themed weekend, with a gift for anyone who goes there in fancy dress. There will be a fancy dress competition judged by Jonty Depp a local Captain Black Sparrow impersonator, treasure trail, pirate and princess themed crafts and more. From 8pm til 10pm join the National Trust rangers and Kernow Astronomers for some stargazing at the gorgeous Carnewas Bedruthan Steps cliff top location awarded Dark Skies status. Remember to bundle up warmly! 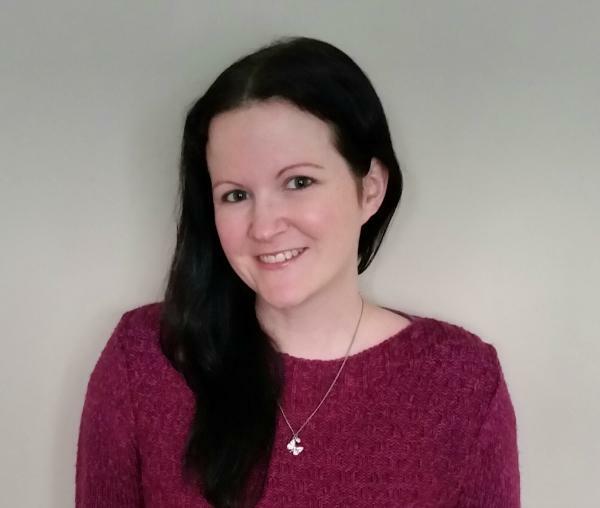 Daisy Clark is live at Bodmin Jail in the evening. 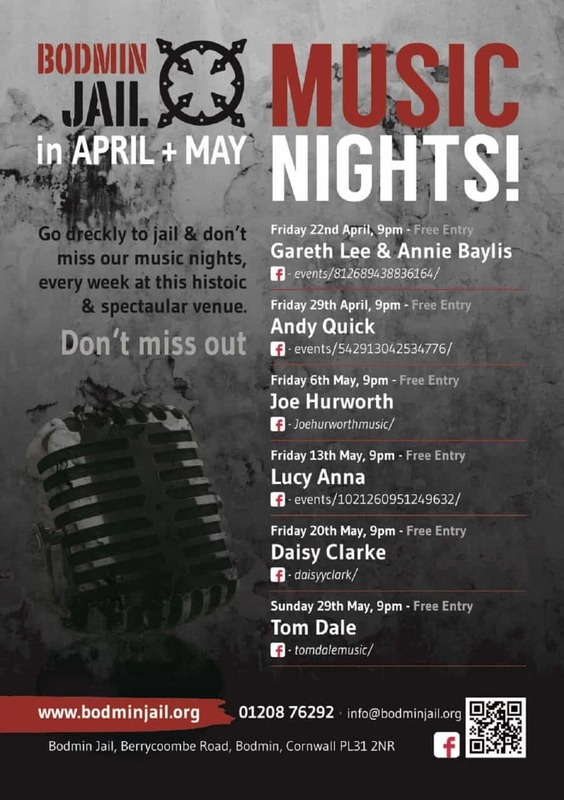 Pop to the Bodmin Jail events‘ page for more live music events. The Lost Gardens of Heligan near Mevagissey have a wild week on full of discovery and adventure – more info coming soon. Camel Creek near Wadebridge have a Heroes Week throughout Half Term. On Tuesday 31st May there are special appearances from popular superheroes; Wonder Woman, Batman and Superman. During half term, Armed Forces and Emergency Personnel will be given free entry to the park, with a 20% discount for family members. There will also be more fun activities going on. 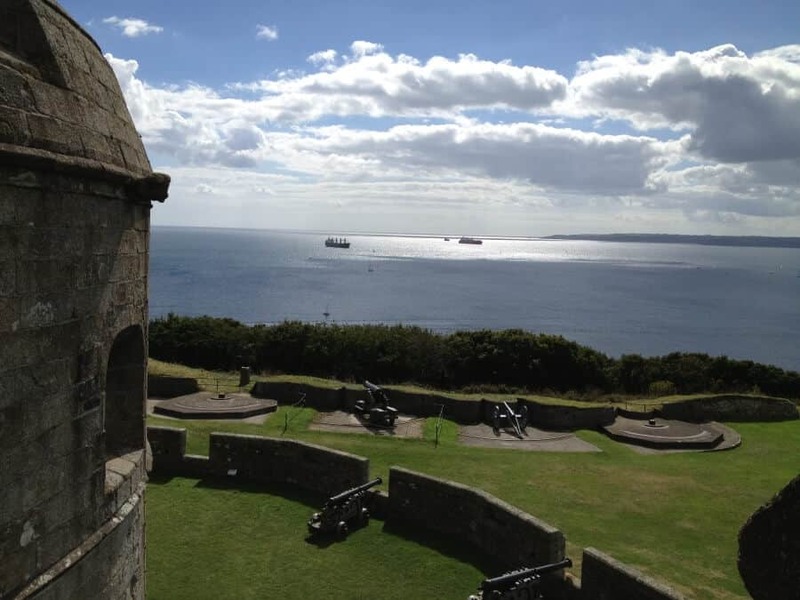 It’s the Fal River Festival in and around Falmouth and Truro. Exact events are still to be confirmed, so keep an eye on the Falmouth Town website for when they are. Love all these Easter activities. I think we will try and get to Trerice. Thanks :) The Heron Inn at Malpas have a very messy egg throwing competition on Easter Sunday. Good for a laugh!